Stuck for gift ideas? Why not give an experience? 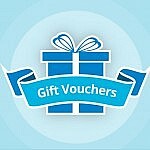 Available in a number of different values, Gift Vouchers can be purchased online or at our office. Rottnest Fast Ferries Gift Vouchers are valid for travel within 12 months from the date of purchase. You don’t need to worry about delivery times either – gift vouchers are emailed direct to your inbox within 24 hours of purchase. It doesn’t get much better than that! Click here Purchase your Gift Voucher Now!